A successful non-profit website must be welcoming and pique the interest of visitors to learn more about an organization. While a website should be visually stunning, there is a more specific goal for organizations to keep in mind: having effective and measurable outcomes from the website. Website design elements should focus on donor experience and a fundraising strategy for sustainable growth. 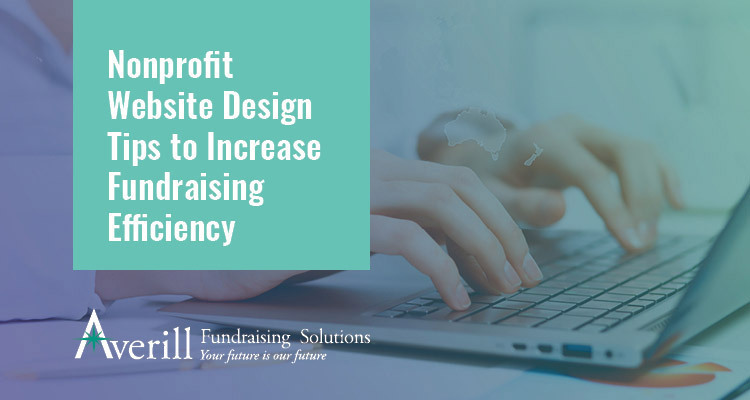 Let’s talk about the best practices for non-profit website design to help achieve fundraising goals. High-Resolution Photos: Whether the decision is to use stock photos or to contract a professional photographer, the images used on the website should always be high-quality. Photos can capture the emotions behind an organization’s mission, so choose the images for your home page wisely. Ask the following questions: Do these images make you want to learn more about the mission? Do you find yourself wanting to help because of what you see? Cohesive Theme: The theme is the personality of the organization, as seen through the website. Themes can be described as modern, minimalist, youthful or fun. The theme can be encapsulated by the color scheme, font and layout of your website. From web page to web page, the theme should be consistent and easily identifiable with the nonprofit organization’s brand. Thoughtful & Concise Copywriting: Effective nonprofit website copywriting communicates a personal, heart-touching message with as few words as possible. There is only a short window to capture the attention of a first-time visitor, but brevity doesn’t have to compromise warmth. The copywriting should be personal and relatable and ties in emotions with the cause of the organization. While the saying goes “don’t judge a book by its cover,” this rule does not apply towards the first impression of your nonprofit website. One of the most important first impressions that your website should give is that it is easy-to-use. Here are some features to keep in mind when designing a user-friendly non-profit website. Present Clear Calls to Action: A call-to-action in a website is typically the button that leads the website visitor to do an immediate desired action. Popular calls to action include giving a donation, starting a fundraiser or subscribing to a newsletter. The button for the desired call to action should be prominently placed on your website template and either emphasized by color scheme, font style (such as bold or capitalized) or otherwise highlighted. Membership or Donation Tiers Work: Take the guesswork out of how much a supporter donates by providing recommended donation and membership tiers. For example, provide particular perks for recurring donors or donors that make a minimum donation. These perks might be discounted event tickets, opportunity to do early RSVPs, or special invitations to members only events. Allow website visitors to have simple options to donation tiers, in addition to giving the option to donate their own amount. Mobile Friendly is a Must: With the evolution of technology leaning towards a more portable and on-the-go experience, an inordinate amount of website visitors will browse a non-profit website with their mobile devices. Mobile devices call for different website specifications so that it appears properly for such compact screens. A nonprofit website design best practice assures that the website is mobile-friendly so that visitors can learn about your organization and donate to your cause from anywhere and anytime. Consistent Social Media Presence: Social media has become a pivotal tool for bringing people together, serving as a great way to get to know your audience. Keep the conversation going with your supporters and social media followers consistently through discussions, polls and surveys. Not only does this keep the nonprofit organization on their mind, but great ideas and feedback can also be collected through such interactions. Blogs & Newsletters: For channels that require more impactful and lengthy copywriting, blogs and newsletters are a great way to go in-depth with a particular subject. This can include impactful stories on how the organization commits to its cause, event updates, program developments and even recognition or spotlight pieces for particular volunteers, board members or staff member. Another great web page that helps nonprofit organizations empower donors is a page that offers fundraising tools. Such tools include marketing collateral (flyers, invitations, etc. ), forms, checklists and crowdfunding resources. While interacting with supporters is highly encouraged, making the website easy to navigate to access these tools will help scale and grow your cause by empowering your donors to take the lead on helping the cause through their own network. Lastly, but not the least important element of non-profit website design, is the integration of a nonprofit CRM platform that works with the website. Being a stickler for organizing and storing information that funnels through the website is a vital best practice for non-profit website design. This includes donor information and activity, email/subscriber lists, event sales and activity, peer-to-peer and crowdfunding campaigns and more. Donor Activity: Donations should include records of the date of transactions, contact information, amount of donation and sources of their donations. With this information, real-time reporting can be made available so that an analysis can be created to plan for sustainable and realistic growth for the organization. In addition to analysis, having the historical records of past donors allows for future outreach on requesting for new donations, as well as sending updates about new events and developments. The key to donor retention is to not create an experience where they feel like it was a brief, one-time interaction, but to continuously keep the channel of communication consistent and open with them. Newsletter/Email Subscribers: Working in tandem with the donor activity records, newsletter and email subscriber activity offer helpful insights, such as how many subscribers open particular emails, which content stirs the most interest, how many subscribers convert into actual donations and more. Event Ticket Sales: Coordinating an event includes sending event invitations, creating tiers of ticket sales (such as packages, accessories and other add-ons), recording ticket sales and more. A CRM software assists to ease the logistics of planning an event, especially if it is a signature event that occurs annually. 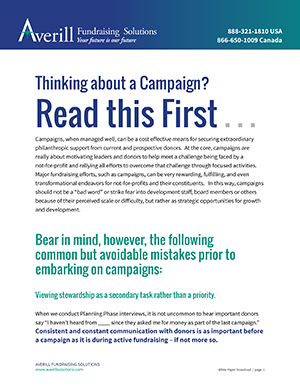 Intentional and purposeful planning by being able to see how your supporters and donors interact with your website plays a large part in a successful fundraising strategy for a non-profit organization. These non-profit website design best practices can serve as a great starting point to achieve and surpass fundraising goals for your organization. Lisa Bennett is the Sales Director at DoJiggy. She joined DoJiggy in 2006 and loves her job. Prior to working with DoJiggy, she worked at several non-profits and managed special event fundraising.